Jeff Skinner was traded by the Carolina Hurricanes to the Buffalo Sabres in August. The question was asked of general manager Don Waddell regarding missing Skinner’s goals. Waddell replied that he is always concerned about goals but is more concerned about winning. His team has put those concerns to rest this preseason. Friday night, in their next to last preseason game, the Hurricanes outlasted the Washington Capitals 5-4 in overtime. Ordinarily, this would be a score that would not draw much attention, especially as it is the preseason. But, there has developed a trend this preseason that Hurricanes fans have to be excited about: this team is scoring a lot. Here are the scores for their preseason games thus far: 4-1 over the Tampa Bay Lightning on September 18. The next night also against over Lightning, 6-1. On September 21 the Hurricanes beat the Capitals 5-1. And they beat Nashville Predators 4-1 on September 25. Including Friday night’s five-goal tally against the Capitals, the Hurricanes have put up 24 goals this preseason. Again, it is imperative to filter these results through the proper lens, which is that neither team put their regular season team on the ice for 60 minutes in these games. Friday night’s contest was close to being real, with the Caps having Ovechkin on the ice for the first time against the Hurricanes this preseason. But, these tallies were not racked up during regular season play, where the speed is faster and the hitting is harder and there are points on the line every night out. Former Hurricanes head coach Bill Peters used to lament often that his team was not aggressive in the crease. He used to call them “greasy goals” and wished that his team were more aggressive in trying to score them. Being a natural goal-scorer, Zykov understands where to be to maximize his chances at lighting the lamp. Zykov led the American Hockey League in goals scored and in power play goals scored last season, and he should play a large part in helping Waddell not worry about goals being scored for the Hurricanes. Zykov may very well be a scoring explosion waiting to happen. 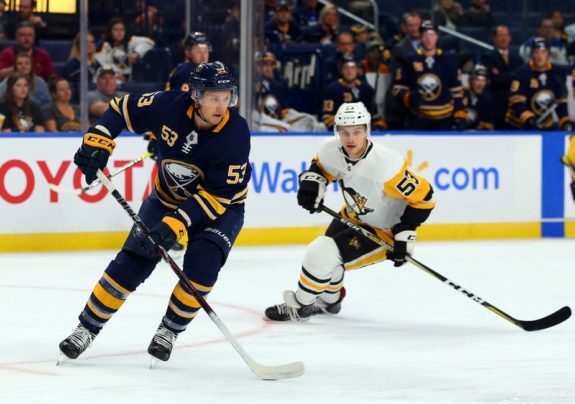 It is very likely that his play will continue to improve at the NHL level, and will help Waddell have less on his mind regarding replacing Skinner’s goals. 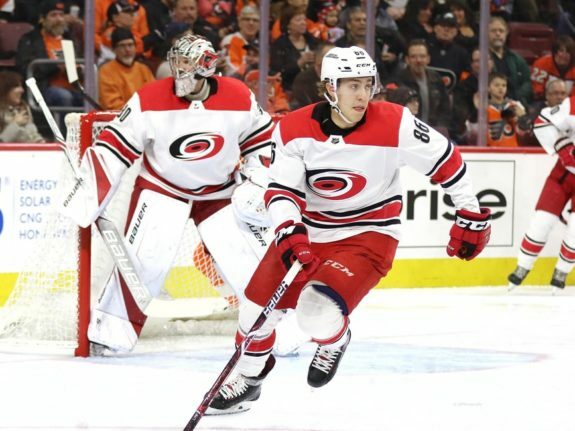 Aho and linemate Teuvo Teravainen combined for seven points in Friday night’s game. While there is some question as to how well Aho will fit in the role of center for the Hurricanes, there is no question that together he and Teravainen are a potent scoring combination. Aho has become more aggressive over the past year and has the talent to easily lead this team in goals. The Hurricanes traded away one of the league’s natural, potent goal-scorers in Skinner. If the preseason is any indication of how the season will play out, his goals for the ‘Canes will not only not be missed but will be replaced and then some. While a boon for the Sabres, the Skinner trade might just turn out to have been outstanding for the Hurricanes, too. This Hurricanes group is a talented young team that has the talent to score often. Starting Oct. 4, when they open their season at home against the New York Islanders, fans will find out if they can do it when it counts. Three months later on Jan. 11, the Hurricanes will play the Sabres for the first time in the 2018-19 season. By then it will be apparent how well both teams have fared since the trade. The person running the arena scoreboard might be awfully busy that night.